I know it’s not technically something specific to Canada. So, no Canada, I’m not holding you solely responsible for this. But I was impressed by how common Gilbey’s Lemon Gin Collins drink was. I had never seen it before this trip to Nova Scotia and Prince Edward Island. And it was in every single liquor store. Even the ones that had only three gins on the shelf: It was Bombay Sapphire, Beefeater and this. Diageo Canada is on to something I guess. So clearly something is going on that this is popular enough to be everywhere. I thought, since I hadn’t seen it, and wasn’t sure where I would find it again, that I might as well give it a write up while I’m writing up some of the other more Canadian Gins. Take one of the world’s biggest inexpensive gin brands and cut out the work of mixing and just throw it in the bottle. There’s a not a lot of story here as this is pretty much exactly what you expect. The ingredients are “water” [cut down on the burn, make it easier to drink], sugar [again, to make it more like a Collins], Natural flavors [are you ever going to mention lemon? ], Citric Acid [so it feels like Lemon?] and color. So they made it yellow. And herein lies the biggest surprise in Gilbey’s Lemon Collins. It’s Green. Usually the color section of my notes is reserved for aged spirits. But in this case, Gilbey’s Lemon Gin Collins is a dilute sage green. Somewhat appetizing when looked at in light: a combination of fake green apple flavoring with water, or maybe the early stages of an algal bloom. The somewhat eerie glow, and choice of color which is completely out of the realm of possibility for a Collins cocktail surprises and alarms. Yellow coloring isn’t great, but at least is somewhat consistent with the expected end product. In this case, the green is a mystery which gives every thing you mix it with a vague ecto-cooler nostalgia note. I’ll move on from the color and get on to the taste, but suffice to say, I don’t know color this drink is without the coloring, but I find the green to be incredibly unnecessary and a touch weird. On the nose: lemon and citric acid, intensely, calling to mind the cleaners and furniture polish. Very sweet, but it does smell a little bit overly fake. The palate begins with citrus, lemon primarily, but giving way to some more earthy and warm depth. Juniper is present, but relegated to more of a background role. Finish is lemon candy with a touch of heat and burn. The finish is a touch drier than the rest of the taste, with lemon sticking around long after the sip leaves your throat. Frankly, it’s what you might expect. Easy to drink, nicely flavored, albeit a touch too sweet and unfortunately, Gilbey’s Lemon Gin Collins reads as a bit artificial. Though ostensibly a cocktail in its own right, we didn’t shy away from mixing a bit with it. We put it with some Soda and found it to be very easy drinking, very smooth. 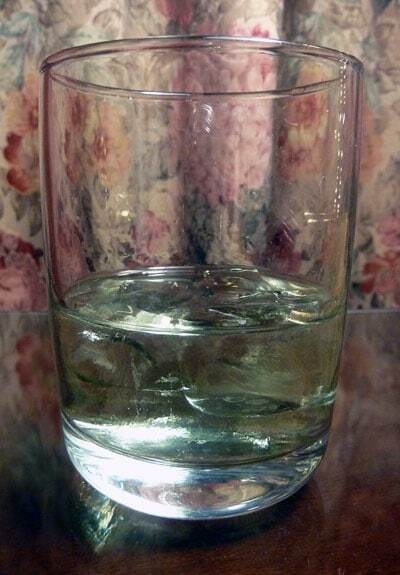 The green color was faint but present, and overall it read as a sweet Tom Collins or Gin and Seven-Up. The harsher acidic notes tasted on its own were well hidden here. It worked quite well and it left no mystery to my mind as to why this would be popular. What it lacks in sophistication, it makes up for it in “ease” of drinking. Again, Gin and Tonic is practically a gimme here. I needed to try it with tonic. I thought that this was also not too bad, the tonic adding a nice counter-note. I wrote in my notes, “mixed it tastes less-fake.” Some of the things [color aside] which read as artificial are obscured. It tasted like a citrus forward gin and tonic. Juniper nearly non-existent. My critique might be that this read more as a citrus vodka and tonic; however, it was satisfying and refreshing. So in terms of intention, I think it delivers. I did make a Confederation Cocktail with Gilbey’s Lemon Gin Collins and this might be where the limits were finally pushed past its breaking point. All over, with lemon notes clashing with the wine, a little rough, with the artificiality on full display on the palate, and a touch too sour. I’d stick to mixing with this. It doesn’t work in cocktails, but this is definitely not what it was intended to do. It’s an easy mixer for backyard barbeques or the beach. Serious Gin drinkers will probably be best advised to look elsewhere, like adding lemon and simple syrup to their favorite gin before mixing with soda, but other more casual gin drinkers will probably find something here that at the very least merits the rather inexpensive price. Color aside. It sounds like it may be quite useful as an all-around multi-purpose household cleaner and air freshener! where can i buy it in ontario. Last I was there, I didn’t see it in any of the Ontario stores. I didn’t see it in Montreal either a couple of months back. I’m wondering if it might be more narrowly available, on PEI/NS. It goes for around $25/730ml in BC, which is totally not worth it. Go for New Amsterdam or Brokers, or Tanq for that price. But, I found it discounted at my local BCL for 50% off, which cant be beat. I found that even when mixed with only Club Soda it’s still too sweet. I would use this as the “splash of lime” in a Gin & Soda with a splash of lime. Why is this gin not available in the UK or to ship to the UK??? If anyone knows how I can get more than 1 bottle home to the UK let me know. I find it very refreshing on crushed ice on a hot summer day relaxing on th pool deck. 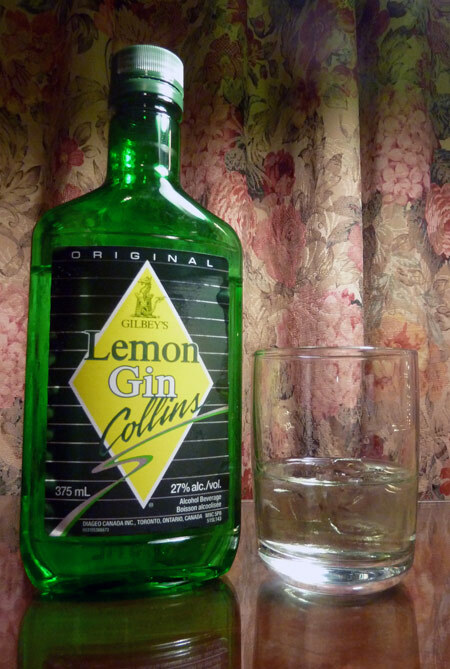 Lemon Gin Collins has been sold here in Newfoundland for years. I remember having this when I first became drinking age…maybe a little before 😉 .. 25+ years ago. It was then, one of the most popular drinks for young adults and older teenagers. I think I may pick up a bottle, just for the nostalgia aspect alone. As well as a bottle of my go-to gin, Bombay East, when I grow tired of nostalgia. You can’t buy it in Ontario. unless you order a case from the liquor store.